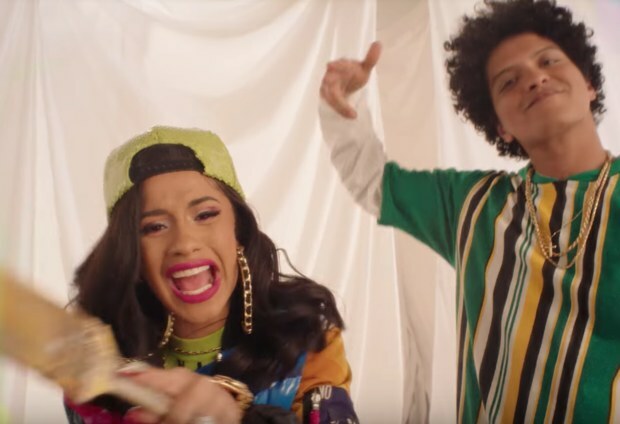 Mars and Cardi teased the joint release on Wednesday on Twitter, with Mars saying the video was dedicated to one of his “favorite T.V. shows of all time.” They’re faithful to the spirit of the original show throughout the video, from the fashion to the throwback setting and Mars’s sharp group choreography, while Cardi brings the tune right into 2018 with a saucy rap intro. “Bossed up and I changed the game (you see me),” she reminds us off the top, all confidence as ever.